Smoke billows from Mt. Tavurvur after an eruption in Kokopo, east New Britain, Papua New Guinea, on Friday. The eruption has caused some nearby residents to be evacuated and rerouted some flights. Two volcanoes half a world apart are causing havoc today: Several flights have been diverted around an eruption in Papua New Guinea, and authorities in Iceland briefly put aviation on highest alert (again) due to a temperamental Mt. Bardarbunga, which has been rumbling for the past week. Mt. Tarvurvur on Papua New Guinea’s East New Britain island erupted Friday, sending smoke and ash skyward. There have been no reports of injuries, but some residents in nearby Rabaul town were evacuated and others were told to stay indoors after the eruption, which occurred about 3:30 a.m. local time. Qantas, Australia’s flag carrier, says it is rerouting two flights from Sydney, one to Tokyo and the other to Shanghai, that would otherwise have passed close to the erupting mountain. David Flinn, a resident of Papua New Guinea, tells Australian Broadcasting Corp. that the volcano was emitting steam and occasionally boomed. Flinn said about half an inch of ash covered surrounding areas, according to The Associated Press. Mt. Tavurvur erupting on Papua New Guinea’s East Britain island. “The new alert, the second-highest, means that aviation authorities can now decide if planes may travel over the volcano’s airspace. “Scientists said a fissure eruption 1km (0.6 miles) long started in a lava field north of the Vatnajokull glacier. Iceland Met Office seismologist Martin Hensch says it was impossible to predict how the eruption might develop, and that “one of the concerns is that the fissure opens into the glacier but presently there is no sign of that happening,” he said, according to Reuters. He said the current eruption is 4-5 miles from the glacier. As we reported earlier, the on again, off again, concern about Bardabunga has been going on since last week. “Ugh, she dresses like SUCH an aunty!” is usually not something you’d want to hear about your style, if you’re South-Asian. An “aunty” or “aunty-ji” (depending on where you want to fall on the graph of respect and familiarity) is what you call a lady roughly around your mother’s age. So, the family friend who has seen you grow up, your mom’s co-worker, the lady next to you in the grocery line or the nosy neighbor whose questions about your love-life you endure because she makes a killer biryani — they all qualify. While the stereotype makes aunties famous only for food and unsolicited advice, their style — like this salwar-kurta and sneakers combo, a staple — has not always been in the spotlight. Until now. “Upping the Aunty” is a mixed-media art project started by Toronto-based artist Meera Sethi, who’s trying to debunk this myth that aunties don’t have swag. In the project’s first phase, Sethi took photos of women in Mumbai and Toronto and posted them on her Tumblr and Instagram — kind of a street style series. The other goal behind the project was to pay homage to the aunties like the ones that surrounded Sethi herself, while she was growing up in Toronto. They are “cultural figures,” Sethi says, who have made many contributions to their societies and communities. In fact, aunties permeated the lives of Sethi and her South Asian friends to such an extent that even when they weren’t physically present, they would often pop up in conversations and jokes. “(We would) engage in ‘aunty-speak’ — so using maybe voices and phrases that our aunties have used, with each other, sort of, in jest,” Sethi says. 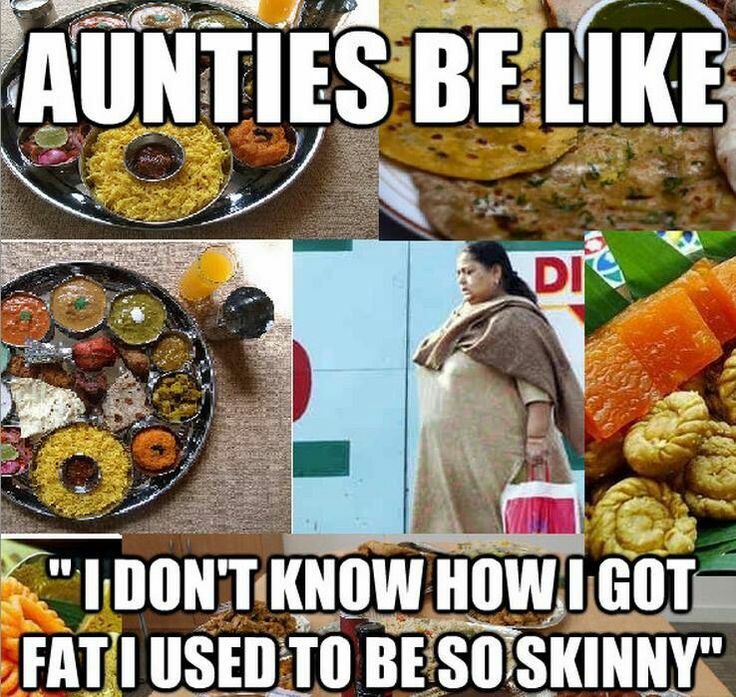 Spurred by these conversations and a plethora of aunty-themed Internet memes and YouTube videos, Sethi started thinking about the cultural knowledge that gets passed on by aunties — especially in diaspora communities. After a spell of linguistic “pun”-ditry determined the project’s title, it all came together. The title isn’t just ornamental though. Sethi literally intends to take the project to another level: she wants to collect more photos, have more conversations with aunties about their style and then paint portraits of them embellishing that style. As she works towards these ambitions, Sethi relishes the individual connections she makes with her muses when she stops them for the picture. Aug 28, 2014 // by Administrator // World News // Comments Off on Kids And Screen Time: What Does The Research Say? If the study were to be expanded, Greenfield says, she’d like to test the students at camp a third time — when they’ve been back at home with smartphones and tablets in their hands for five days. “It might mean they would lose those skills if they weren’t maintaining continual face-to-face interaction,” she says. There’s a big takeaway for schools, Greenfield says. The results of the UCLA study seem to line up with prior research, says Marjorie Hogan, a pediatrician at Hennepin County Medical Center in Minneapolis and a spokesman for the American Academy of Pediatrics (AAP). Hogan relates the UCLA study’s findings back to research on infants. For decades the AAP has warned that children need to cut back on their screen time. The group’s latest prescription: Entertainment “screen time” should be limited to two hours a day for children ages 3-18. And, for 2-year-olds and younger, none at all. What About ‘Educational Screen Time’? Research out of the Joan Ganz Cooney Center, a nonprofit research and production institute affiliated with the Sesame Workshop, suggests that less than half the time kids between the ages of 2 and 10 spend in front of screens is spent consuming “educational” material. How To Limit Kids’ Screen Time? Of course, as media multiplies, it’s increasingly difficult to manage kids’ screen time. Where several decades ago, television was the only tech distraction, kids now have smartphones, tablets and laptops — not to mention electronic games. “We need to make media a part of our lives, but in a planned, sensible way,” Hogan says. Her suggestion: Families should encourage a “healthy media diet” for their children. Parents and kids should work together to decide how much time to spend with media every day, and to make sure good choices are being made about what media to take in. Scanning electron micrograph shows Ebola virus (red) on the surface of a kidney cell from an African green monkey. An Ebola vaccine being developed by the National Institutes of Health and drugmaker GlaxoSmithKline is going to get a try in healthy people starting next week. The number of Ebola cases and deaths continue to climb in Western Africa, underscoring the need for a vaccine to protect people from infection. There’s no such vaccine now. “This is a public health emergency that demands an all-hands-on-deck response,” Dr. Anthony Fauci, director of the National Institute of Allergy and Infectious Diseases, said Thursday. It’s the first time the vaccine will be tested in humans. Animal experiments have been encouraging, but there’s no guarantee the vaccine will work well in people. Several experimental vaccines against Ebola have been tested previously, but none has made it to the finish line. The initial test of the new vaccine will involve 20 healthy volunteers and will take place at the NIH in Bethesda, Md. Similar tests are expected to involve 40 people in Mali, 40 in in Gambia, 60 in the U.K. and possibly more in Nigeria down the road. The preliminary studies aim to find out if the vaccine is safe and whether it triggers a strong immune response. Results are expected by the end of the year. Vaccine testing is a “delicate balance,” Fauci said. Researchers have to weigh “compassionate need” and the need to do what’s “scientifically and ethically sound.” Unlike a drug, a vaccine to prevent infection is given to otherwise healthy people. “Safety is paramount,” he said. Researchers are hopeful that this vaccine represents an improvement over previous approaches. The vaccine this time make use of a chimpanzee cold virus, called chimp adenovirus type 3, to carry bits of genetic material derived from two kinds of Ebola: Ebola Zaire, the one at the center of the West African outbreak, and Ebola Sudan. Another version of the vaccine targets only Ebola Zaire. Once the chimp virus is inside human cells, the Ebola gene leads the body to make Ebola protein to build immunity. There’s no danger of Ebola infection or illness from the vaccine. GlaxoSmithKline said it would make around 10,000 doses of vaccine beyond those used in the clinical tests so that an emergency supply would be available if the preliminary trials prove successful. An experimental Ebola vaccine licensed to NewLinkGenetics Corp. by the Public Health Agency of Canada is also expected to be tested in humans soon. Work on that vaccine is being backed by the Defense Department. Josh Shaw of the USC Trojans celebrates in Los Angeles, California. The University of Southern California has suspended cornerback Josh Shaw after he admitted to fabricating a heroic tale that explained his sprained ankle. Shaw has been suspended indefinitely from all of the Trojans’ team activities after acknowledging his heroic tale was “a complete fabrication,” the school announced in a statement Wednesday. “The school didn’t explain how Shaw actually was injured, but USC officials say they regret posting a story on their website Monday lauding Shaw’s story about a second-story jump onto concrete to rescue his 7-year-old nephew. Shaw originally said he jumped from a second-story balcony because his nephew was drowning. Shortly thereafter, Sarkisian said he received calls questioning the veracity of the tale. Campus authorities investigated and by Wednesday night, Shaw released a statement. “On Saturday August 23, 2014, I injured myself in a fall,” Shaw said, according to CBS. “I made up a story about this fall that was untrue. I was wrong not to tell the truth. I apologize to USC for my action on this part. Even before Shaw admitted to his lie, there was lots of speculation of how exactly he was injured. That question still has no answer. A federal judge on Wednesday finalized a ruling that strikes down part of Utah’s ban on polygamy. The case is high profile partly because the suit was brought forth by the Brown family, the stars of the TLC show “Sister Wives.” It’s also important because as it works its way through the appeals process, it has the potential to become a landmark. As the Salt Lake Tribune reads the decision, U.S. District Judge Clark Waddoups says the part of the law that prohibits cohabitation between adults to whom they are not legally married violates both the First and 14th Amendments. “Utah law made such a union a felony punishable by up to five years in prison. Waddoups said the ban violated the First and 14th amendments to the Constitution. “Waddoups let stand the portion of the statute that prevents someone from having more than one active marriage license. The AP reports that the Utah attorney general is weighing whether to appeal the judge’s decision. In a blog post, the Brown family’s lawyer, Jonathan Turley, said he hopes that the AG will not appeal the case. He said that Americans should not fear prosecution solely because of the structure of their family. Episode 563: "I Was Wrong"
Aug 27, 2014 // by Administrator // World News // Comments Off on Episode 563: "I Was Wrong"
The world is full of people talking about how right they are. Today on the show, we try something different: we talk to smart, thoughtful people about times they got things really, really wrong. Music: The Decemberists’ “Don’t Carry It All.” Find us: Twitter/ Facebook/Spotify/ Tumblr. Download the Planet Money iPhone App. Irn Bru is a hugely popular Scottish soda that may even outsell Coca-Cola in Scotland. It also symbolizes local pride in a place that will vote on whether to break away from the United Kingdom next month. For a visitor to Scotland, it can be difficult to understand the local passion for a neon orange soda that locals call “the brew.” The drink is Irn Bru, (pronounced “iron brew”). You can find it from McDonald’s to corner stores and pubs across Scotland. It is such a powerful force that it may even outsell Coca-Cola here — making it one of the few places on the globe where Coke isn’t the leading brand. “This stuff runs in my blood,” says Chris Young, as he walks through downtown Glasgow carrying a bottle. Perhaps he’s not a fair sample, though, since he is actually drinking the stuff. The woman with him, Gayle Fergus, has no such bottle. So is she as devoted a fan? This seems impossible, given that her buddy claims the soda courses through his veins. But she insists. “I’ve got the pens, I’ve got the merchandise as well.” Fergus even speaks longingly of Irn Bru kilts, in bright orange and blue. These people are not outliers. Even the first person we stop at random on a Glasgow street professes a seemingly unnatural passion for the brew. “For my wedding toast, I had Irn Bru in champagne glasses instead of champagne,” says Laura Calgie. For the sake of journalistic integrity, it’s important to confirm that she has no family connection to the company. She insists she does not, then pauses. “I was brought up about 10 minutes away from the factory, so maybe they put something in the water,” she says. Plunkett lets a visitor sample one of the hard candies. They start out sweet, followed a burst of acidity. And of course, they are bright orange. “People call Irn Bru Scotland’s other national drink, after whisky,” says Sara Grady, who works for a market research firm. Much of the world treats Scottish icons as kitch. Kilts. Haggis. Bagpipes. But for Scots, these are potent symbols of national pride. One of Irn Bru’s advertising slogans is “Made in Scotland, from girders.” Girders, as in, the steel beams that hold up buildings. “In some ways, I guess you could say that while Coca-Cola embodies the American dream, Irn Bru could be the Scottish version of that,” she says. At the Irn Bru factory just outside of Glasgow, visitors must wear protective earphones. The rattling sound is constant as 96,000 cans an hour fly down the line. “We’ll sell about the equivalent of 17 cans a second, which is a huge volume to keep up with,” says brand manager Martin Steele, who’s serving as our tour guide. When the tour is done, I tell Steele that I have a confession. I still have not actually tasted Irn Bru soda. He brings back an ice cold bottle, straight off the factory floor. The contents are the color of a sunset in a hazy sky. I take a sip. And it tastes like … soda. Sweet. Fizzy. A bit bubble-gummy. To me, it seems like nothing special. Then again, I’m not Scottish. Christine Lagarde, the head of the International Monetary Fund, says French prosecutors have put her under formal investigation. “Ms. Lagarde said in a statement through her lawyer that she was being investigated for ‘simple negligence,’ by the Court of Justice of the Republic, the judicial body that is charged with investigating the conduct of high government officials. “Ms. Lagarde, who has denied wrongdoing from the start, said in a statement that the decision by a judicial committee to place her under formal investigation was ‘totally unfounded’ and that she would be returning to work in Washington on Wednesday afternoon. Lagarde, then the finance minister, referred the matter to an arbitration panel, which decided in Tapie’s favor, awarding him $527 million. “The inquiry has already embroiled several of Sarkozy’s cabinet members and France Telecom CEO Stephane Richard, who was an aide to Lagarde when she was Sarkozy’s finance minister. “In previous rounds of questioning, Lagarde accused Richard of having used her pre-printed signature to sign off on a document facilitating the payment, local media has said. However Richard has stated that Lagarde was fully briefed on the matter. There’s too much happening in New Orleans’ French Quarter — especially on a holiday weekend, and especially when hundreds of thousands of people are in town for the annual Essence Music Festival. There are living statues and five-piece bands and drinks a foot and a half tall and people from all over the world ambling in the middle of the street. But Ledisi, singing on a balcony in her hometown, stopped the whole thing dead. For a few minutes, with a song about the complications of being a woman, she held an unsuspecting, audibly appreciative crowd in the palm of her hand. Producers: Mito Habe-Evans, Frannie Kelley; Event Manager: Saidah Blount; Videographers: Mito Habe-Evans, Olivia Merrion, Colin Marshall; Audio Engineer: Kevin Wait; Editor: Mito Habe-Evans; Special Thanks: Sam Malvaney, Mark and Rachel Dibner of the Argus Fund; Executive Producer: Anya Grundmann.